Narcís Bonet began his teaching career rather late. In 1971, he was appointed professor of sight-reading at the Ecole Normale de Musique de Paris. He also taught solfege and harmony at the Municipal Conservatory of the 9th district in Paris as well as at the Municipal Conservatory of Sainte-Geneviève-des-Bois. 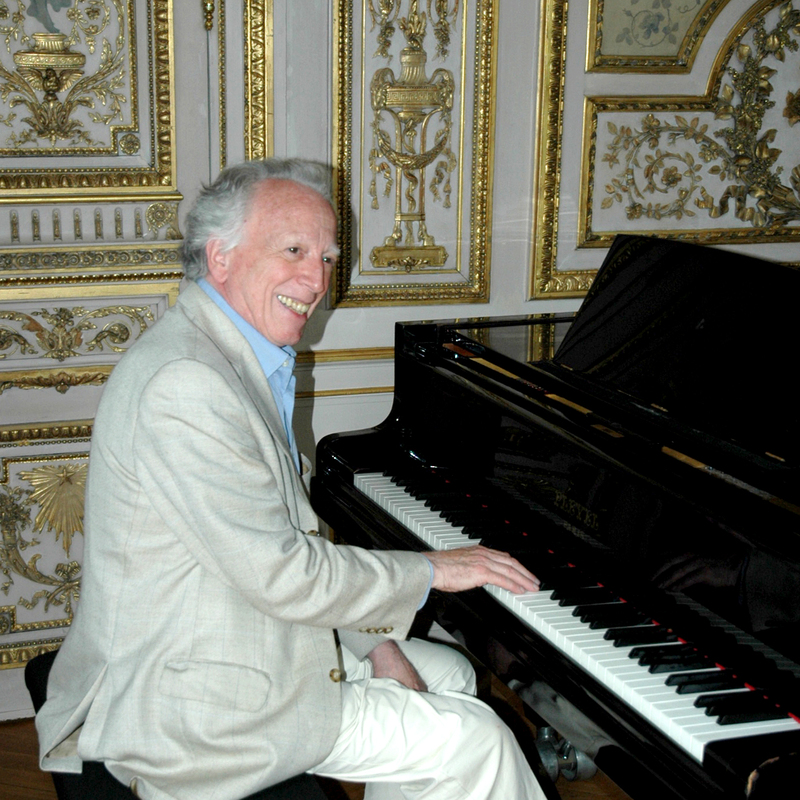 In addition, he was professor of musical production at the Municipal Conservatory in Créteil. In July 1979, he directed the second Bain de Musique in Flaine. In September of the same year, he was appointed Assistant Director of the Ecole Normale de Musique de Paris where he created a school orchestra and choir as well as establishing the lunchtime concerts in the Salle Cortot, that he still directs. In October 1979, after the death of Nadia Boulanger. Narcís Bonet was asked to succeed her as the director of the American Conservatory in Fountainebleau, as well as becoming professor of composition, chamber music and conducting. In 1984, he published in Barcelona and in Catalan, his first pedagogical work Tractat de Solfeig (Les éléments essentiels de la Musique) with a preface by Igor Markevitch. Following this publication, he was invited to various conferences, conservatories and academies in France, Spain and in Catalonia, most notably the Institute Joan Llongueres in Barcelona. Often asked to chair or sit on juries of various international competitions in composition or piano (Belgium, France, Monaco, Italy, Spain, South Africa, Portugal…) Narcís Bonet has been invited by Alícia de Larrocha to give master classes of interpretation through analysis in her school “Acadèmia Marshall” in Barcelona, directed by Carlota Garriga. He has also been invited to give master classes by Robert Levin at Harvard, Philip Lasser and Margo Garret at the Julliard School and by Benet Casablancas at the Liceu Conservatory in Barcelona. Since 1993, after a short period as Director of the Russian Conservatory Sergei Rachmaninoff in Paris, Narcís Bonet has actively participated in the renewal and development of the Schola Cantorum, in collaboration with its new Director, Michel Denis. Since 1996, in collaboration with his former student Philip Lasser, Narcís Bonet continues to keep the spirit of the Fontainebleau Conservatory alive as well as the pedagogical tradition of Nadia Boulanger at the composition and chamber music summer program EAMA (European American Musical Alliance) directed by Philip Lasser. This program, held during the month of July at the Schola Cantorum or the Ecole Normale de Musique de Paris, brings together around 60 students from various American universities. After Les éléments essentiels de la musique, Narcis Bonet published Les principes fondamentaux de l’harmonie and the selection, revision and production of Basses et chants donnés by Paul Vidal and Nadia Boulanger in French, English, Spanish and Catalan. Narcís Bonet continues to teach analysis and keyboard harmony at the Ecole Normale de Musique de Paris as well as teaching interpretation through analysis and composition at the Schola Cantorum.